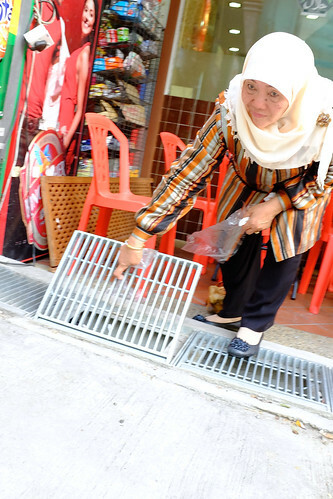 A few days ago, after an early dinner in Little India, I went for a stroll down Syed Alwi Road when I noticed this Malay lady lifting the grill above a longkang (drain). Intrigued, I went up to her. First, she lifted the metal grill. 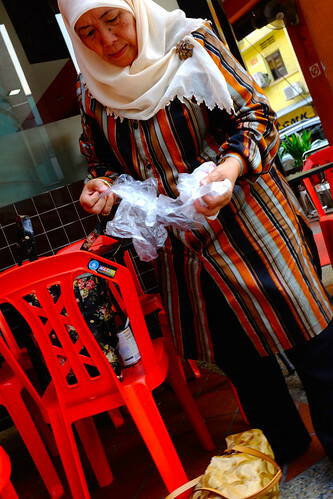 Then, she went into her handbag and took out a clean plastic sheet. She placed the plastic sheet on the dirty (but fairly dry) drain. She then went into her purse to retrieve a ziplock full of cat food. 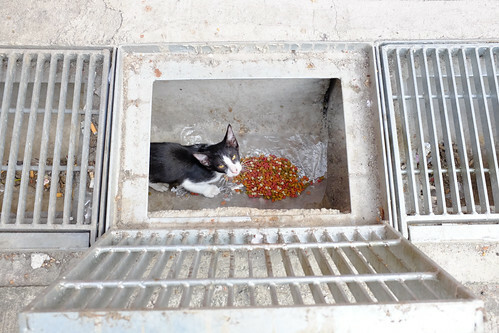 She placed the cat food on the plastic sheet (she wanted to make sure the food was clean for the longkang cats, you see). Next, she retrieved a tin of cat food from her handbag, opened it, and put it on another clean sheet of plastic. Soon, a whole family of cats appeared (no picture of the full litter); about 2 grown cats and a litter of 4 kittens. 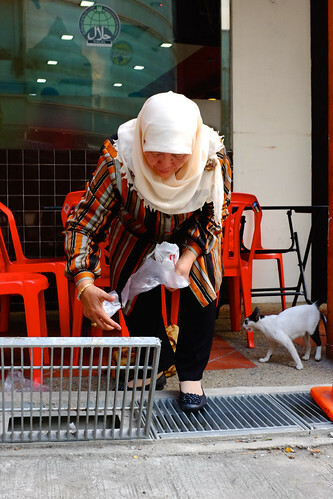 She was feeding the longkang cats. I asked her if she worked nearby. She said no. I asked if she lived nearby. She lives in Woodlands. I asked her how often she comes to feed these cats. Everyday. 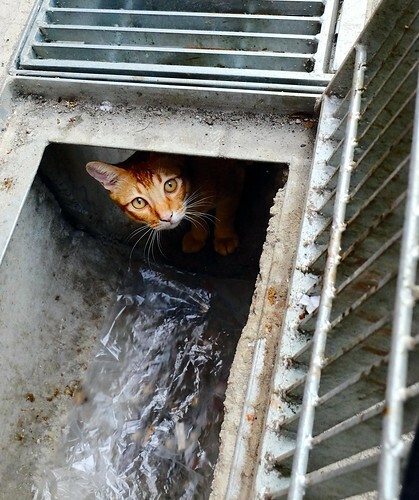 While we rightly circulate and condemn those who abuse animals and take them to task and justice, let’s celebrate these invisible angels who go way out of their way to care for animals. Thank you, dear lady. My deepest respect and gratitude for being a light in this world. (I was just informed by WordPress that this is my 1000th post).